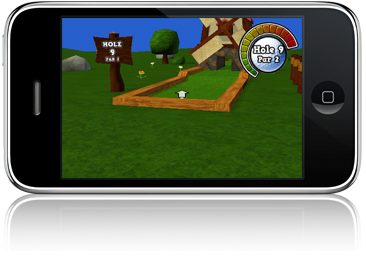 Miniture Golf comes to the iPhone and iPod Touch in full 3D! Windmills, castles, moving obstacles -- all the miniature golf classics are included. Tilt the iPod/iPhone to change your view and aim the ball. Putting is as simple as tapping the screen. The game will automatically save no matter where you are in the game so you can pick up and play anytime.